But the family experienced hardship in other ways. Maurice’s father, Shizuo, owned a laundry business in Broome, but when war broke out with Japan he was forced to abandon it. “They said, ‘Pack your things up, you’re going.’ That was it… [My father] lost everything.” When the family was finally released from internment in 1946, they had to start afresh. 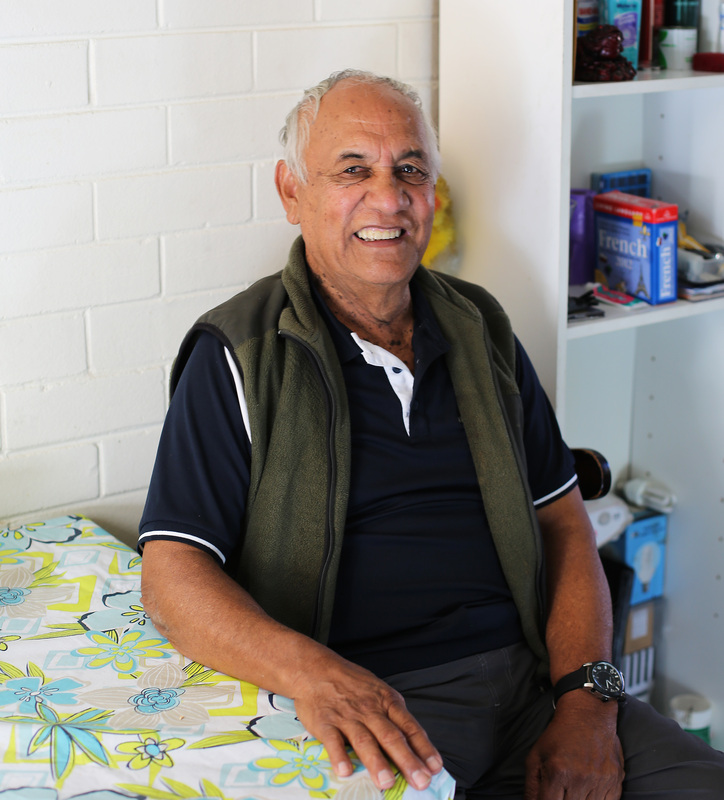 Maurice’s father found work in Perth doing the laundry at Clontarf Boys Town, then later in Mullewa (WA) working on the railway. Read about more internee memories here. What a fascinating story. An uncle of my ex-wife used to talk (when he knew I had Japanese interests) about the Japanese laundries and other businesses he came across while travelling around Queensland in the mid-20th century. I heard them, but this story about the Shiosaki family has brought it all back to me. What an incredible pity they were interned at all.